Bin Dumper - The Pallet Dumper Retainer attachment has a two thousand pound capacity, is blade mounted and held into position by means of a safety chain. This particular chain-actuated pallet retainer/dumper makes use of finger like retainers to hold the pallet in position during dumping. 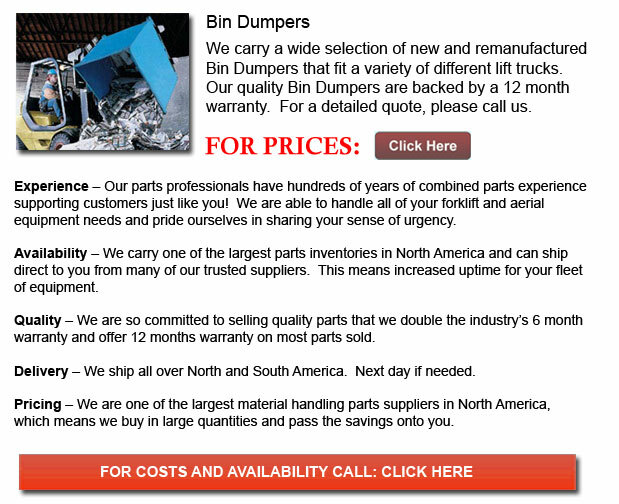 This lift truck accessory really makes trash disposal an easier and safer operation.